Black Thought and Culture provides a combination of monographs, articles, speeches, essays, interviews and letters written and conducted by the leaders and scholars in the black community. 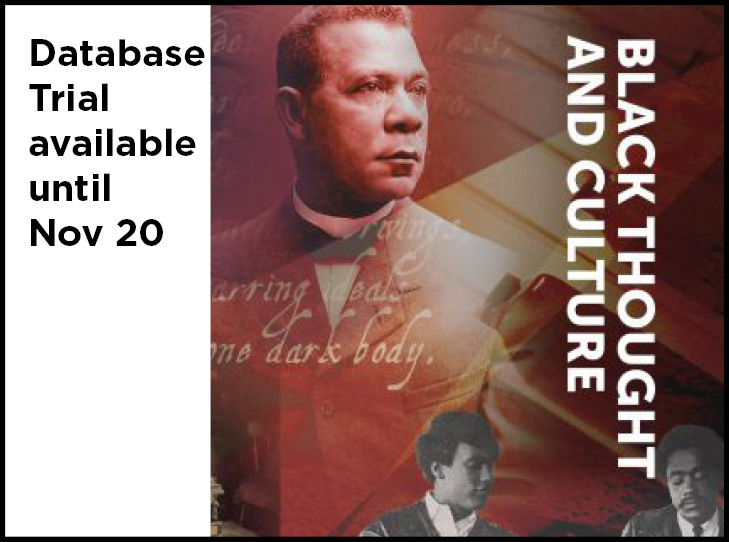 The information provided in this database ranges from 1700’s to the present, and covers a variety of topics such as black studies, political science, music, literature and art, and American history. With a vast variety of searching options and easy browsing ability discovering new and forgotten works by major black authors, scholars, athletes and activists is simple even for the beginning researcher. Black Thought and Culture allows access to previously unattainable or forgotten works, such as letters by famous athletes like Jackie Robinson, and correspondence written by Ida B. Wells. This trial ends on November 20, 2016.